Quality Council of India TPI report released. This workshop was a follow up to two meetings held by Shri Nitin Gadkari, where the status of Solid Waste Management was reviewed. 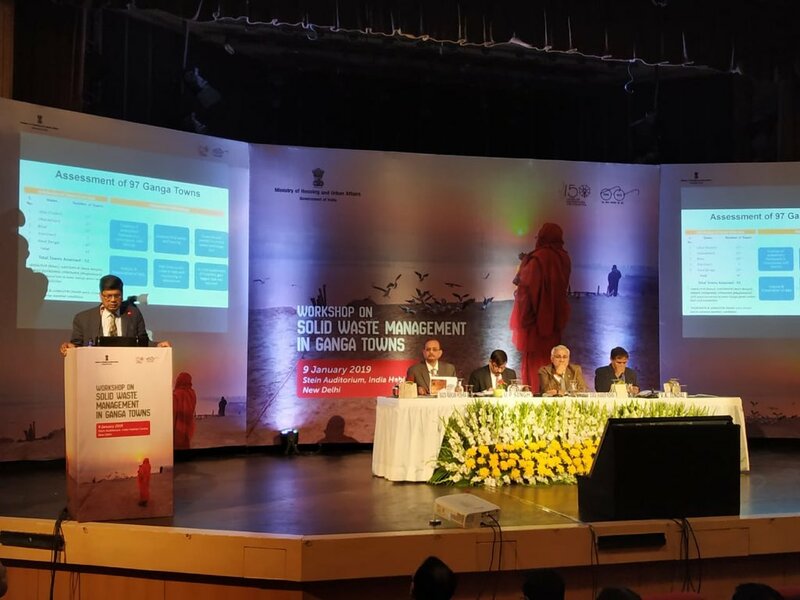 Talking to the assembled officials, Shri Gadkari said that while in the 97 towns along the main stem of river Ganga the issue of liquid waste management has been/being addressed, the problem of solid waste management needs to be taken up on a war footing. He said that innovative models for solid waste management need to be adopted, the segregation of solid waste needs to be carried out and organic compost prepared along with plastic, metal, glass recycling, which will turn waste in to wealth. On the occasion, Shri Nitin Gadkari launched a report on ‘ Mission Gange-River Rafting Expedition’. Speaking at the workshop Shri Hardeep S. Puri, said that the Ganga hold very special spiritual and cultural history and is revered as the living embodiment of the divine. He further said the he is delighted to say that he is beginning to see success in one of the most difficult Missions in the country and that 83 of 97 of the Ganga towns have achieved ODF and he is confident that the rest will achieve the status by 2019. He also said that all Ganga towns have been directed to process waste scientifically and that the Namami Ganga programme from his Ministry. The Quality Council of India (QCI) were entrusted to carry out third party inspections on the status of solid waste management in the 97 Ganga towns. This report was released at the workshop and a subsequent review was carried out state by state by the Shri Rajiv Ranjan Mishra, DG, NMCG and Shri V.K. Jindal, Joint Secretary and National Mission Director, Swachh Bharat Mission (Urban), MoHUA . The gap areas identified were pointed out to the ULB officials form the states and they were asked to ensure compliance by 15th February, 2019. Shri Durga Shanker Mishra, announced that as a part of ‘Swachh Sarvekshan’, a special category would be created for the best performing town in solid waste management amongst the 97 Ganga towns and a suitable award would be given.